What is it the poet said? Like muffled drums, our hearts beat a funeral march to the grave. 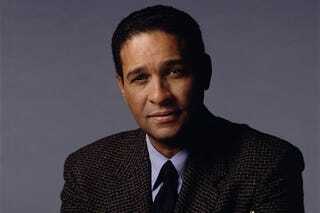 And so it is that Bryant Gumbel, a man who is nothing if not prepared, keeps a list of his pallbearers. Who has been true? Who has transgressed? Though only 39, he has done it many times. Gumbel hates surprises. The list changes every few months or so. He keeps track. "I don't want to wait until something happens to see who my friends are," says Gumbel. "Or maybe I just don't want to be the guy who, when he dies, they can't find six guys to carry his coffin. Maybe this is a way to be sure I have six." There have been days when he has wondered. Gumbel has a couple of thousand acquaintances but very few friends. Not that he couldn't have more. It's his choice. "If I'm in a room with 100 people, will I be able to find one person I'd like to have dinner with?" he asks. "Probably not," he answers. Forget that. There are times when friends visit the Gumbels and Bryant won't come out of the den. "I've long since stopped apologizing to company for his grumpiness and aloofness," says June, his wife of almost 15 years. "Sometimes he doesn't feel compelled to entertain. It doesn't bother me anymore." Strange man. Stubborn man. A man who might have best described himself when he said, "It's not that I dislike many people. It's just that I don't like many people." So begins Rick Reilly's famous 1988 SI profile of Bryant Gumbel.